Pureland Permaculture: Incarcerated for the unlawful containment of decaying organic matter? Incarcerated for the unlawful containment of decaying organic matter? Incarcerated for the unlawful containment of decaying organic matter? Don’t laugh! It could happen. Recently councilors in London, Ontario, Canada discussed a staff recommendation to that would limit home composting to a one meter square area at the rear of yard with a maximum of 4 covered bins. What the ferment is up with that? 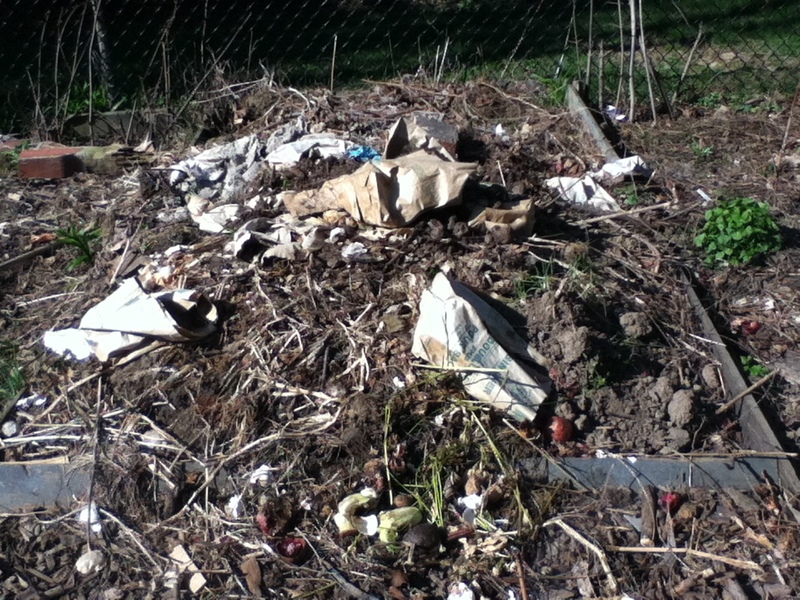 Orest Katolyk, manager of bylaw enforcement, stated, “There is an issue with compost piles. 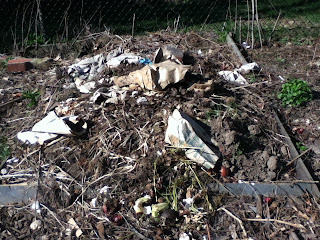 We have looked at composting since the mid-90s. Some homeowners take composting very seriously. We are looking at very reasonable regulations on composting, probably the most user-friendly composting regulations in Ontario, based on the research we did.” Sorry Katolyk, you are wrong. Thankfully London Mayor Joe Fontana had a more enlightened view and questioned the need to create a new bylaw when, as Katolyk admitted, there have been VERY FEW COMPLAINTS!!!!! Once again, what the ferment? While no changes were made, the City will be further discussing the matter. There is just so much wrong with this story that I don’t even know where to start. How about with the fact that there have been hardly any complaints concerning composting. This falls under the “If it ain’t broke, don’t fix it” rule. Hey Londoners, your tax money is being used to pay salaries and expenses to research and find solutions for a problem that doesn’t exist! In terms of permaculture and ecological design it makes no sense. We want to mimic nature, after all, nature’s systems have been able to maintain themselves for quite some length of time. Nature is the ultimate recycler, the supreme composter. In a forest leaves grow on the trees, die, fall to the ground, decompose, and release their nutrients to be once again used by the tree. Am I the only one that sees beauty in this? Confining composting to a one meter area hidden both in bins and at the rear of the yard makes the process seem dirty and shameful. NIMBY! Not In My Back Yard! I will celebrate nature’s recycling process in all of its glory! I will use bins, I will use piles, I will sheet mulch, I will dig it in. I will even step out my side door and just throw something decayable in a general backward direction with full confidence that nature will take care of it using the same techniques that it has used over the last several billennia. If I want, I will put a composter near my back window so that I can add organic material directly from the kitchen (this is using the permaculture relative location principle. I will sleep soundly knowing that my home composing is not wasting tax dollars on a green bin system that burns fossil fuels and emits carbon to collect and carry resources that I can use at home to a distant location to be composted and then once again collected and transported burning more money and fossil fuel in the process. Think deeply on this, green bin programs will not last. To finish I want to quote Canada’s former Prime Minister Pierre Trudeau who summed up my feelings when he stated that, “There’s no place for the state in the backyards of the nation”. Or something like that. A garden bed that I started rehabilitating with sheet mulch last fall. Winter compost has been thrown on the bed periodically. Would each incidence count as an infraction under the recommendations that were proposed in London? Am I a bad apple? Is bad apple bad if it can be composted to recycle its nutrients and help new apples grow?